As I told you in my previous article, in 1998 I finally managed to buy my long-awaited PlayStation. My favorite genres were (and are) sports games, platforms and adventures, but I did not take long to find out and get into role-playing games. It was thanks to my trusted video game shopkeeper, actually. One fine day, with the intention of buying a new PS title, I asked him about the best games available for the magic grey box. He gave me an immediate, firm response: “Final Fantasy VII! It is an RPG, an adventure where you can control several characters with special skills. There is a villain who wants to destroy or dominate the world and you and your party have to stop him. The shopkeeper was dead right: the game was wonderful, a 360-degree, unforgettable adventure. And the girls, wow… My twenty-something self immediately lost his head over them. Since then, apart from FFXI and FFXIV (sorry guys, but mmorpg are just not my cup of tea), I have played and completed * every Final Fantasy released from first to last, including FFX-2 and FFXIII-2. 13 worlds in which I have virtually fallen in love several times… But given that I consider myself monogamous, I decided to be a good galaxy sailor and choose one girl for each port, er… FF world. Selphie appears shortly after the beginning of the game. She is a student who has just come from another school (Garden in the game) and needs help to get familiar with the campus. The pensive Squall (the main male character) will reluctantly agree to be her guide. In addition to being a good-looking girl, Selphie is positive, sociable and has always a word of encouragement for everybody. Her character reminded me of a foreign student who came to my school when I was in my last year of high school. We had a brief relationship and the day she went back to her country, I was heartbroken. Terra is FF VI main female character and embodies the values of courage and nobleness of mind. Despite having had a hard life to put it mildly (she was enslaved in order to exploit her magical powers), the difficulties she has faced have not affected her purity or her ideals. Terra listens to children and has their interests at heart. For this reason she embarks on a journey to save the world and make it a better place. Beautiful on the inside and on the outside, it was simply impossible to not fall in love with her. So Mysterious and self-confident, Lulu is FFX party black mage. In addition to slaying enemies in battle, the charming Lulu is also able to bewitch you with a simple glance, a gesture or with her calm but determined way of talking. As beautiful and as refined as an orchid, she is very self-restrained and rarely shows her feelings, although she is very protective of her fellow adventurers. Over the course of the story, it is revealed that her boyfriend’s death has deeply affected her and her apparent coldness is only a front. The desire to knock down her emotional wall and find out what lies in her heart was the missing tile to make her irresistible. A black mage could only be followed by a white one. But Rosa is much more than this, actually. Final Fantasy IV female protagonist is a beautiful woman, a faithful companion and an extremely generous human being. Engaged to the black knight Cecil – whom she loves deeply and has known since childhood – she is the only one who can speak to his (only apparently) heart of steel. Rosa symbolizes the ideal life partner, she who would follow you everywhere and whom we would all want by our side. I realized how special she was at the beginning of the game. Cecil took a little bit more, but he eventually understood that too. Lucky guy! Honorable Mentions – you too have a place in my heart! Here comes a tomboy! As beautiful as a Valkyrie and just as warmonger. Woe to who makes her angry! Fran is a soul warrior, loves freedom and is even an engine expert. A sweet, fragile girl looking for a knight to protect her. Her yearning for tenderness ends up making the aforementioned introverted Squall capitulate, but it was honestly hard to stay indifferent to those big, helpless eyes. My uncontested idol, the love of my… Gaming life! The flower girl in Final Fantasy VII is a delicate creature whose mere presence emanates sweetness and human warmth. When her blue eyes look at you, it feels like time has stopped (and you would like to throw your watch away). As beautiful as an angel, loyal, brave and with a sweetly mysterious aura, she steals the show as soon as she enters the scene. Even a mercenary like Cloud is instantly head over heels for her, although he struggles to admit it. What a pity, I was just having fun, but I have to think about my readers and finish this article in a decent manner. Before that, I would like to point out that rankings are absolutely subjective and based on personal experiences and opinions. This is to say that I do not know if our opinions coincide, but still I would be happy to hear your thoughts both on the girls and on your favourite Final Fantasy episodes. So please, feel free to leave a positive comment or politely disagree. This was a great post! It’s interesting how we can all see certain of these characteristics in either people in our lives or someone we would like to know. Plus, the backstories on these characters are great, very few are presented very one dimensionally and all have some depth to their personalities that in some way we can relate to. Great article, it opened my eyes to many of these characters. Keep up the good work! Hello Christina, thanks for your nice comment. Yeah it is true, the depth given to every single character was what first got me into Rpg. Some of them reminded me of childhood or school friends and so I wanted to help and protect them at all costs. Stay tuned for my next article about Rpg! Wow – great post. Reading through their individual personalities and characteristics of the fantasy characters draws you in to their world. Rinoa Heartilly is my favourite. This is exactly how I feel, sometimes I get so immersed that I think am there on the battlefield using potions to restore my friends’ health points or executing a deadly combo to kill a boss. 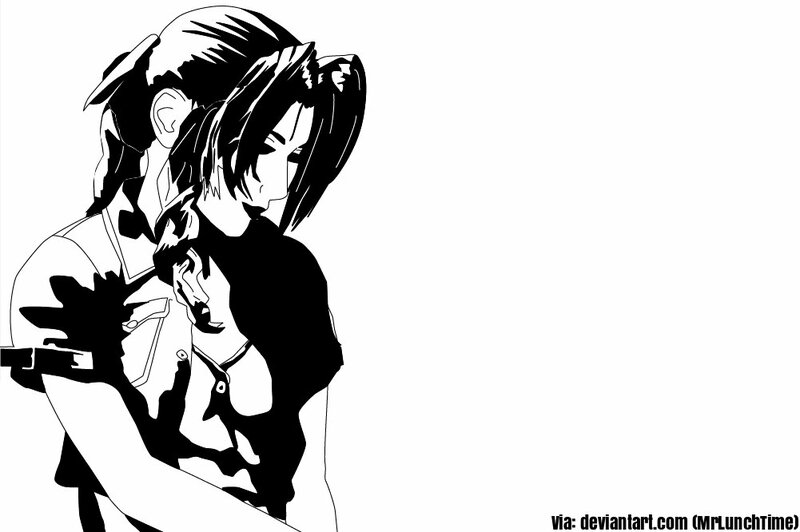 Rinoa is a good choice indeed, when she and Squall hug for the first time, I still have goosebumps. I love Final Fantasy X. I have tried some of the others, but FFX is my absolute favorite. And you are right, the girls in the game make this game! Lulu, Riku and of course, Yuna. I just pulled this game out and was going to start a new one tonight! I played the game that I brought for my PS2 so many times that it just quit working! Then I got my PS3 and when it was released for the PS3 I was in heaven! Love, love love the Final Fantasy games and girls! Hello again Karin, it is great to see you again! Basically FFX has an endless longevity, you never get tired of wandering around Spyra, there are plenty of things to do. I was hooked on the Blitzball game at some point, to me it was like a real sport. As for the girls, well Lulu is Lulu to me. As Tidus, I had been wanting to leave a good impression on her since the very beginning. When she finally showed appreciation to him, I hoped Tidus would kiss her, but the game developers had other plans for him, lol. Stay tuned for my next FF article! Fantastic! This puts a completely new spin on FF for me. I have always loved the FF series of games. Having more background about each of these characters provides a new perspective. Very nice. Thanks. Hello Scott, I am glad you enjoyed my article. Every FF character has a background story and it takes a while to figure out their personality. I was able to full enjoy the game only when I got to understand who was who and this provided a whole new perspective as you wisely pointed out. For one thing, I honestly think I would have quit FF4 if I had not figured out Rosa’s personality. I was not clicking that much with the game in the beginning, but Rosa’s way of loving ended up fascinating me and I saw her as the one who could change the world (and the story). For the record and in order to stay spoiler-free, I do love FF4 now! Thanks for the nice article. I loved reading about the different characters. Funny how similar some of them are to either myself or others that I know so I could really relate. Hello Sierra, thanks for your comment. Yeah, it is very funny… When I first started FVIII I changed some of the original names and it seemed to me the game developers had drawn on my friend circle, lol. Final Fantasy games feature imaginary worlds, but you can easily identify with the characters. That is definitely what I love the most about the saga. Stay tuned for more FF articles! Well that awakend some pretty old memories in me, I loved the Final Fantasy series, part VII and X were my absolut favorites and beating Sephirot in Part VII after what he has done to Aeris was probably the most satisfiying thing of my whole childhood, haha. Thanks for thos nostalgic moment, have a nice day. Hey Jens, I do second that!!! Sephiroth would definitely win my top 100 hated villains hands down. A superb character anyway, a worthy villain for one of the best games ever. Thanks for dropping by, I am glad you enjoyed reading my article. I don’t know anything about Play Station games, but if I were going to start playing on one, I’d have to check this one out! You make it sound so real and so much fun. Thanks for sharing this very thoughtful and well written post about this Final Fantasy X game. Thanks for your nice words Devara, it means a lot to me. Like I said my goal is to awaken interest and not let retro games being forgotten. It is comments like this that show me my message I took the right avenue and my message is being received. Stay tuned for more Retro Articles! I have never quiet been interested in playstation games mainly because I thought they were boring, but you have certainly awakened my curiosity with your descriptive explanation of each character and their roles. I must admit they are extremely beautiful and almost life like, making the game seem so much more real. One question though, are these suitable for young children under the age of 10. Hello Evelynn, I am so glad to read this. Another proof my “mission” is being received with the intention it was planned. What a great post, Andrew!! I’m forwarding this to my son. He’s been playing Final Fantasy for years and years. He will absolutely love this article. He has tried many times to get me to start playing this game, but I never have. I wonder how great the males are? Haha. The males are equally likable and I am currently writing an article about them. I hope you will appreciate it too. Terra all the way! This makes me want to go play the game. Hello Kristi, I hope you will go for it, you will not repent it. And Terra is a great choice, she is a true role-model. Thanks for your comment, stay tuned for more rpg-related articles. You lucky guy, while I talk about how good games are, YOU talk about how good 2D girls about. I’m mean I am all in favor of how exciting 2D girls in virtual games to strike a passion of their cute effort to succeed. There’s lighting in thirteen, another Yuna in the tenth and Sarah in the thirteenth dash two. All are really great and your website. All good choices yours, but for different reasons they did not make the cut. I appreciate Lightning but I failed to click with her initially… Too cold, too emotionless. It took ages for her to show her true colours, what a pity. As for Serah, she lost a very close battle to Selphie for the 5th place. I love her determination and natural beauty. Thanks for your comment, until next article! Helo Rachel and thanks for your comment. Stay tuned for more FF-related articles! I enjoy female protagonists in video games, of course final fantasy has tons of those. but to other games, it would be great for them to have their female options without all the controversy that follows it. Like why cant we just play video games without bringing history and politics into it ya know? Hello Ty and thanks for your comment. Well, what can I say? Times change, things happen, and some developers want to explore other avenues, including bringing burning themes into video games. One could argue it is also not easy to come up with original ideas, hence the “expedient” to throw some real controversies into the mix. The outcome has not even been all the bad in some cases, but I hear you when you say would like to play something “pure”. Fortunately Final Fantasy and most of any other Retro RPGs allow us to do that. Thanks for stopping by again, stay tuned for more Retro articles!